This ad for a health supporter badge emphasizes the health aspects of their support belt. 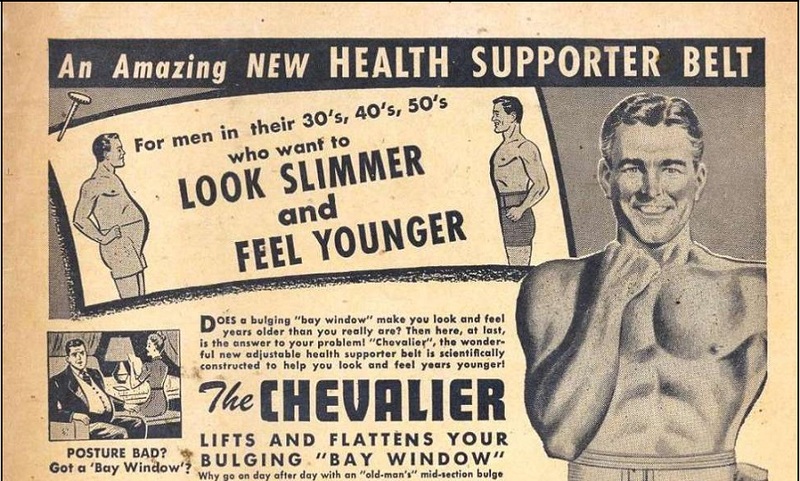 To me it seems like the product functions similar to a girdle, but for men to hold in their fat or protruding belly. 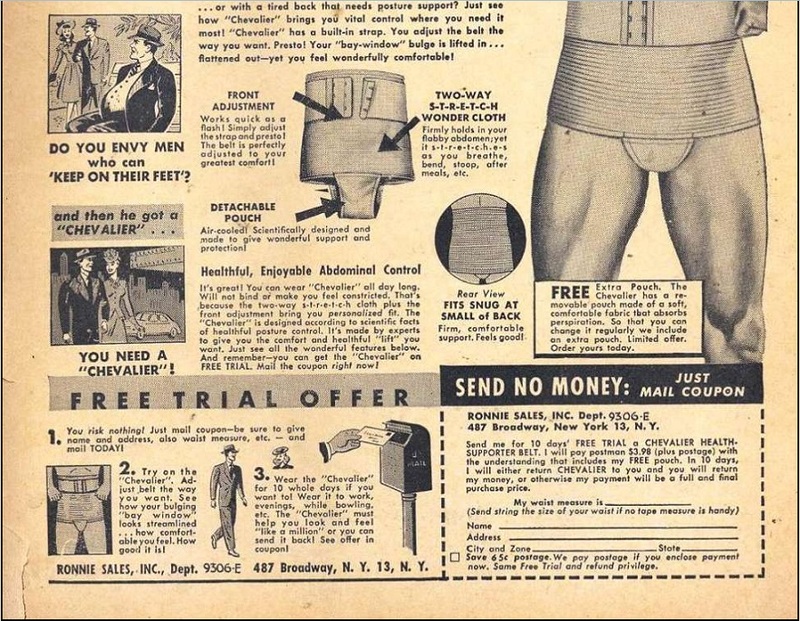 I’m not in the market for such a device, but I’ll bet there is something like this today, some sixty plus years after this ad ran.